We replace and upgrade service equipment, using high quality equipment and methods fully compliant with the National Electric Code. Our knob and tube removal service is the most efficient and competitive on the market. We go above and beyond, not stopping at the minimum requirements. Installing a hot tub, air conditioner, or maybe just a new microwave? We can supply the appropriate size circuit to accommodate the needs of any new equipment or appliance. We also supply power to exterior garages or sheds with either a dedicated circuit OR its own circuit panel, allowing you to install your heavy duty equipment. Solar energy has never been easier. 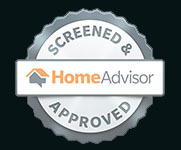 Let our team of CERTIFIED installers choose a system that best suits your needs. Lighting is a very important key in your home or office. It is a major component in how well you relax or study. It is also a determining factor in your mood! A simple lighting upgrade can go a long way in how you enjoy your home or how well your employees function in the office. We off a variety of LED upgrades! We can upgrade your fluorescent fixtures, high wattage metal halide, mercury vapor, or high pressure sodium, as well as and standard incandescent or CFL to any color temperature LED!